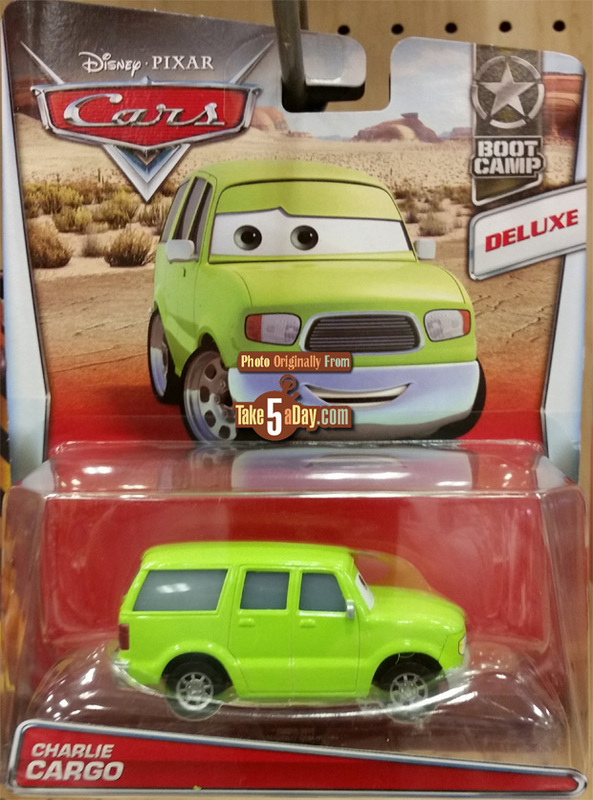 And the new Deluxe Case, Charlie Cargo split off from the box set. 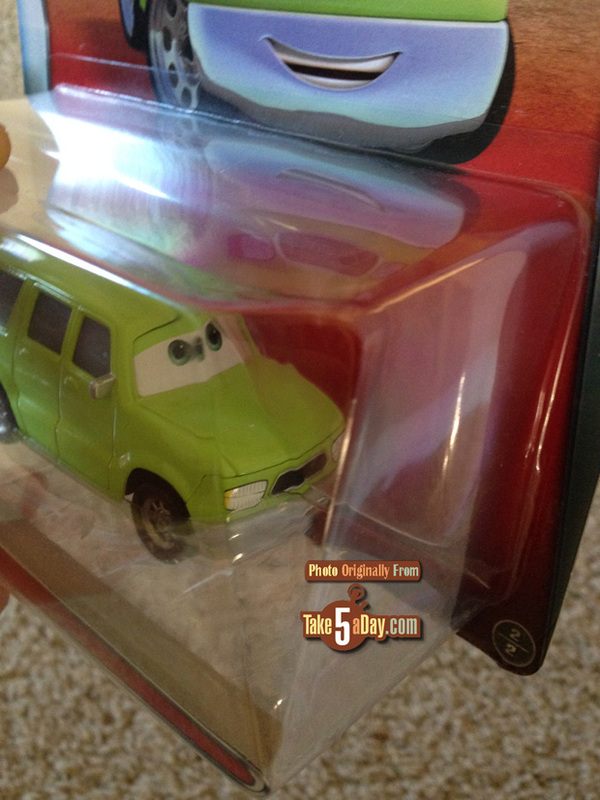 There’s also a new 1:1 scale Lightning. 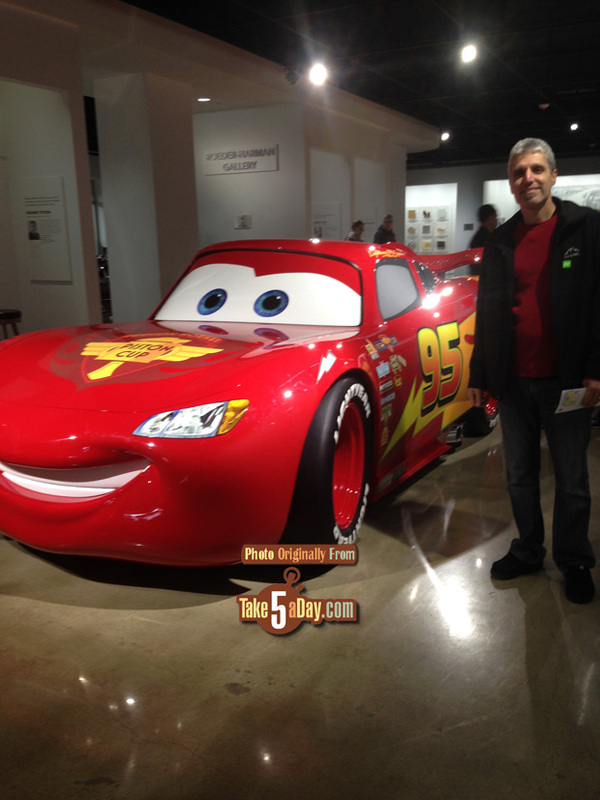 “Samuel K” was at the Petersen Museum (in LA). Lightning is happy to see him. 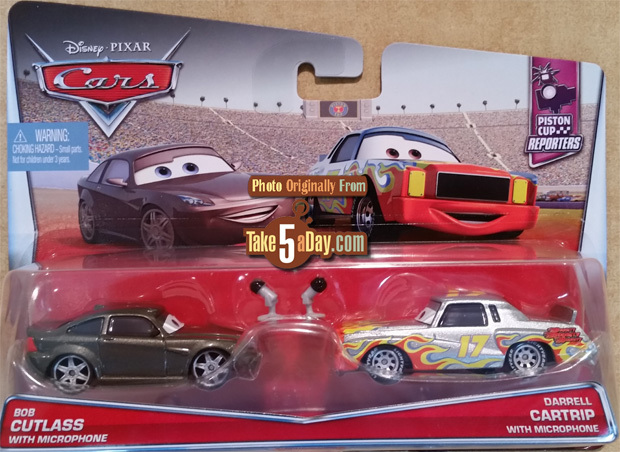 Great shots of the decals on the new Lightning Mcqueen. Will this follow through to the diecast? Not even close. I believe these decals were to showcase the townies. 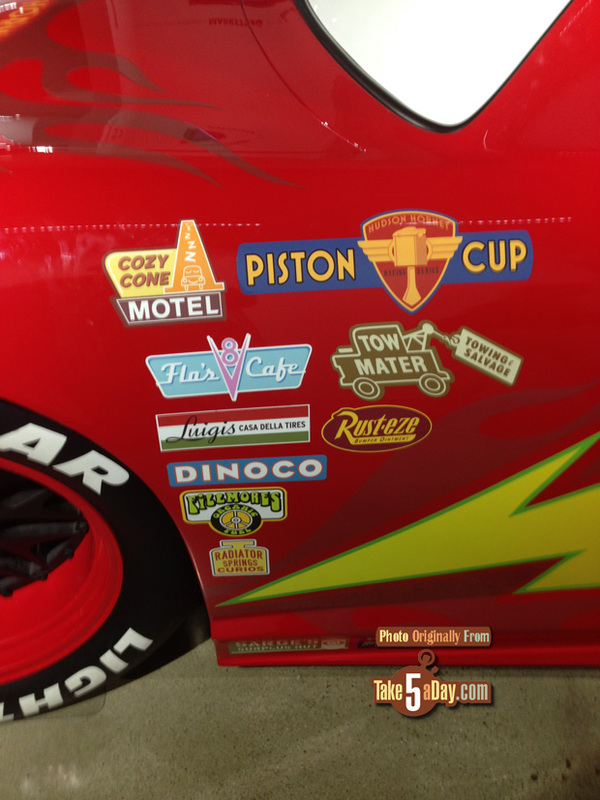 The decals in the trailer represent racing products.